Sometime about 5th or 6th grade, I realized that I wanted something more for myself. I wasn’t sure what that meant or what it was, but I wanted it. By the time I was in 7th-8th grade, I knew I wanted to go to college and my stepdad had told me that he wasn’t paying for it. About this same time, the Army “Be all you can be” commercials were being aired and that resonated with my wanting more. “Be all you can be” was not just a slogan, it inspired me—and still does. Throughout this same time, there were lots of folks who seemed intent on demonstrating how inadequate I was—classmates with whom I did not fit in and a stepdad who consistently criticized and never praised. Fortunately, school and sports came easily. I was driven to excel, to demonstrate my value, my worth using those activities. I strove to keep pace with anyone who did anything extraordinarily well—I taught Sunday School, held down a job at the library, earned straight A’s, and participated in sports whenever I could. As a result of my efforts and the support of my mom, teachers, supervisors and Congressional representatives, I gained an appointment to the United States Military Academy. Serving in the Army and going to college had become my something more. 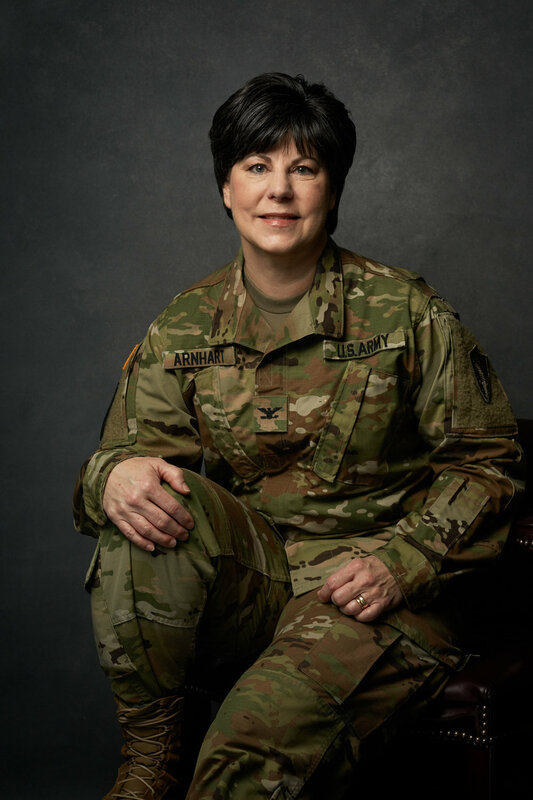 I didn’t really know what I was getting into when I arrived at the Academy, but I graduated with a passion for three things—Army, leadership, and operations research (OR). I was in the Army, was learning leadership and would hold OR close for the future. I had been commissioned as a Field Artillery Officer and went to my basic officer course--approximately 200 guys and me. As a platoon leader, I learned that leadership was about taking care of Soldiers, ensuring their personal well-being, professional well-being, training, guidance, education. Truly caring and taking the time to ensure that my Soldiers were trained and resourced as best as I possibly could melded the platoon. Three outstanding sergeants developed that platoon into an extraordinary team that was the only small unit to be commended in our battalion in our Department of the Army Inspector General Nuclear Surety Inspection and External Evaluation. I was hooked. I loved working with great people, taking care of Soldiers and accomplishing tasks together. While working on staff after finishing a company-level command, I applied for and was accepting into a graduate school program that would allow me to become an Army operations research analyst (ORSA) in Functional Area 49. After I finished school, I worked the enlisted manpower program at the Pentagon. As I worked to advise leadership on how many Soldiers we needed to recruit, train, and promote, I realized that this too was taking care of the Soldiers, albeit by a much different means. Now instead of being in charge of a platoon or a detachment, I was in charge of the numerical health of the entire Army. Now, all Soldiers were my Soldiers and if I made mistakes, they would bear the brunt—it was no different than being a lieutenant; it just had much greater consequences. Once again, I was inspired to be all that I could be. The Army, it seems was my calling. My entire career has progressed along these lines. I am continually inspired by Soldiers who do extraordinary things, who do more than expected without being asked, who strive and achieve because they can, who achieve more together than each could singularly. Our Soldiers who live by our values, who strive and sacrifice and who are ultimately part of something much bigger than themselves. I recognize that not everything is perfect in our Army, but overwhelmingly there continues to be positive progress. I have been blessed in my career and am immensely grateful to the many leaders, mentors, peers, and Soldiers who have made it so.